My doctor has prescribed a new medication for me. Will this cause problems when I go dive? Many conditions are treated with medication. These include anticonvulsants to prevent seizures, antidepressants and sedatives to alter behaviour, pain medication and a host of others. 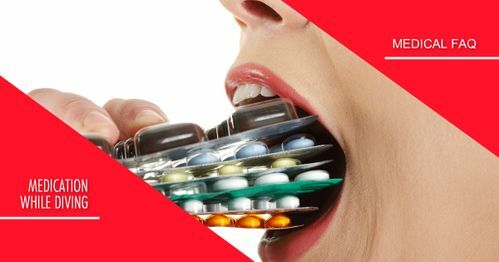 In addition to the intended effect, many drugs have undesirable side effects, which vary from person to person and are not entirely predictable. The list of side effects, while far from complete, includes these most common states: drowsiness, dry mouth, blurred vision and slowness to urinate.